This came from a local city in working condition. It will come with the power adapter. I offer a 30-day guarantee on this item!! The Wilson 311141 antenna improves signal transmission between your Wilson amp and the nearest cell tower. It is designed for buildings. 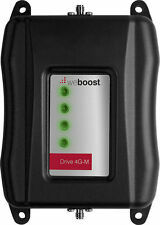 Wilson / weBoost 75 Ohm Outside SignalBoost DT Multi Band Antenna | 311141. 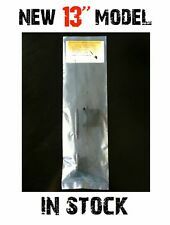 This antenna can work anywhere on earth, compatible with all cellular voice and data bands. All data and cellular uses are compatible. It is made in USA of top grade materials. Frequency Band: 800, 900, 1800, 1900 2100. 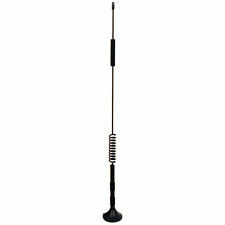 SureCall Full Band Omni-Directional 50 Ohm Outdoor Antenna . Condition is Used. Shipped with USPS Parcel Select Ground. 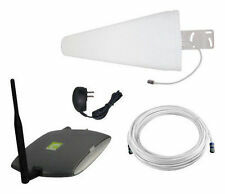 Wi-Ex Dual-Band Directional Antenna YX027-PCS-CEL.in open box . 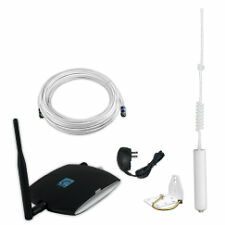 AT&T 3G MicroCell Wireless Signal Booster DPH153-AT. Bought this from a local neighborhood sale recently . Comes with power cord, manual, and original box. In great condition! 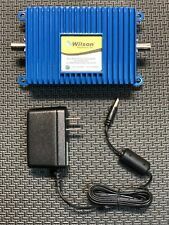 This antenna adapter connects a Wilson cellular antenna to your cell phone. Local pick up is also available. 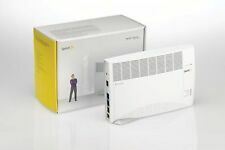 Wilson 801106 In-Building Wireless Signal Booster Specifications (GSM & Cellular 800Mhz..not 3G or 4G Compliant) POWER SUPPLY NOT INCLUDED, 6V 3A Power REQUIRED Frequency Uplink: 824-849 MHz Downlink: 869-894 MHz Gain: 60 dB Max Output: 3 watts AGC Limit (uplink/downlink): 30 dBm / 30 dBm Noise Figure: 3-4 dB typical Flatness (uplink/downlink) : ± 2.5 dB Isolation (uplink/downlink): > 90 dB Power Requirements: 6 V DC 3 A Connectors: N-Female 50 ohms Dimensions: 5.6 x 3.6 x 1.7 (inch) / 14.2 x 9.1 x 4.4 (cm) Weight: 1.5 lbs / .7kg. Wilson / WeBoost Dual Band NMO Mount Omni Antenna | 311104. 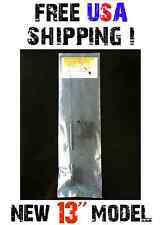 It's a stainless steel omni-directional antenna and features up to 5.9 dB of gain. The mount itself is not included. Gain 700-800 MHz Gain: 2.0 dBi, 824-894 MHz Gain: 4.9 dBi, 880-960 MHz Gain: 0.0 dBi, 1710-1880 MHz Gain: −3.1 dBi, 1850-1990 MHz Gain: 5.9 dBi, 2110-2170 MHz Gain: 1.3 dBi. The popular Wilson 859980 "Super Splitter" is perfect for splitting amplified signal with minimal loss. 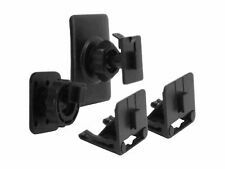 This high-quality wide band three-way splitter covers frequencies from 700 all the way to 2700 MHz.